We have to confess – we are in love with candy and especially in the Holiday seasons we eat a lot of it. For many people, the Christmas holidays are associated with delicious, and often fat, food and candy in large amounts. And we are absolutely no excuse! In Denmark the candy are mostly chocolate, wine gum and different cakes. Sometimes all this sugar and calories can be just enough. 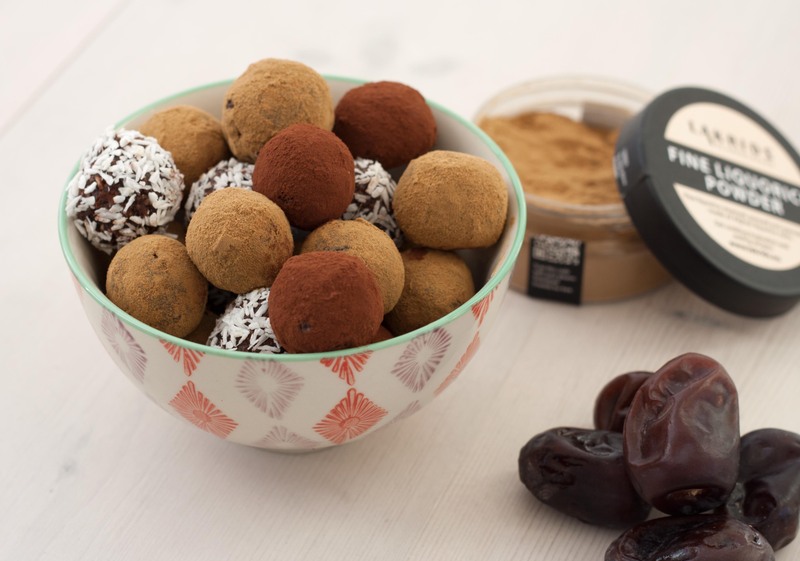 This recipe for delicious candy balls are based on dates and nuts, and do not contain any sugar at all. They are super simple and easy to make and a great and healthy alternative to the regular candy. 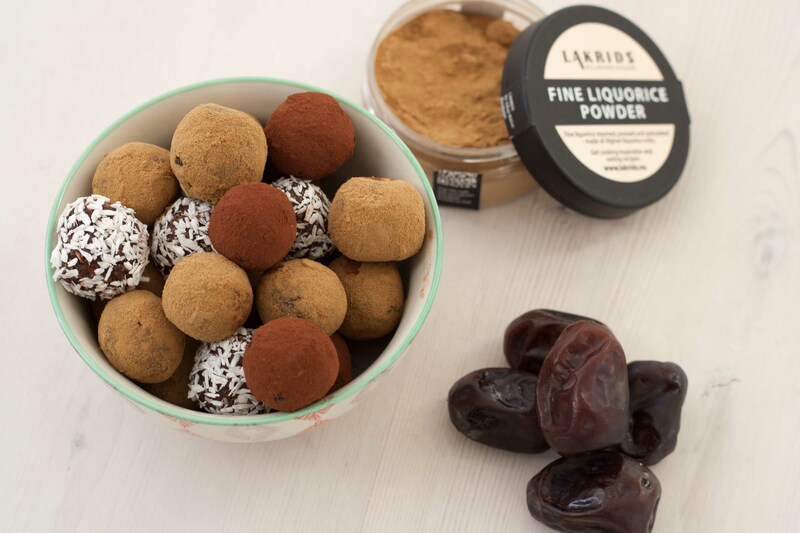 We normally role the date balls in licorice powder, cocoa powder or coconut flakes, this gives a great taste to the candy and makes them very decorative. The recipe is kids friendly and it is super fun to roll and decorate your own candy balls. You can use different kinds of decoration for the date balls. 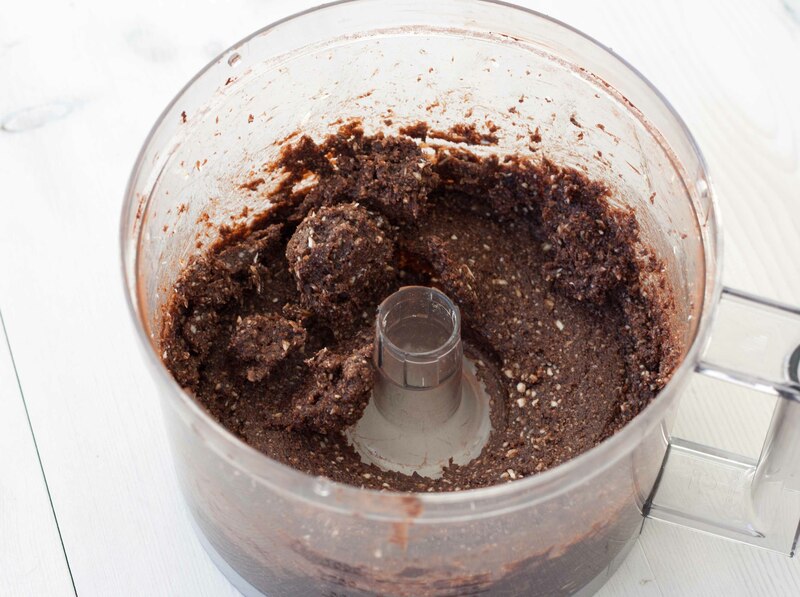 We normally use coconut flakes, cocoa powder or our favorite, licorice powder. 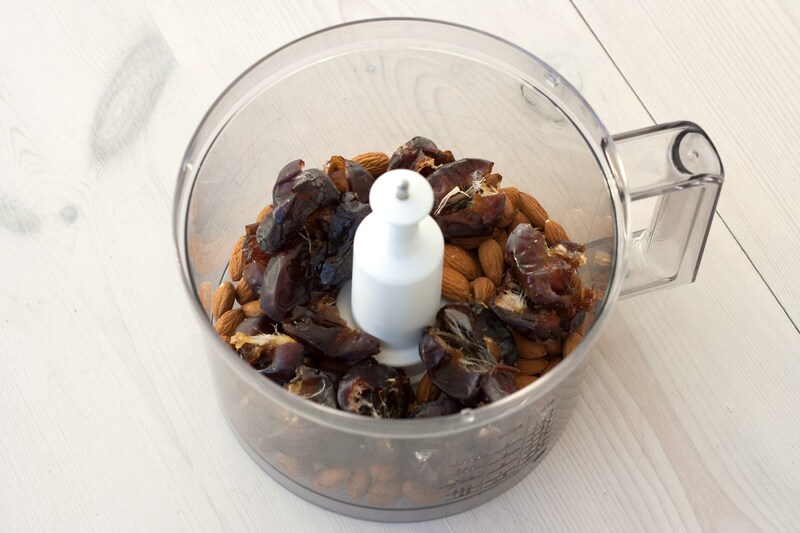 Step 1: Blend the dates, nuts, cocoa powder and date syrup/water in a food processor. Keep blending until you have a consistent date mixture. 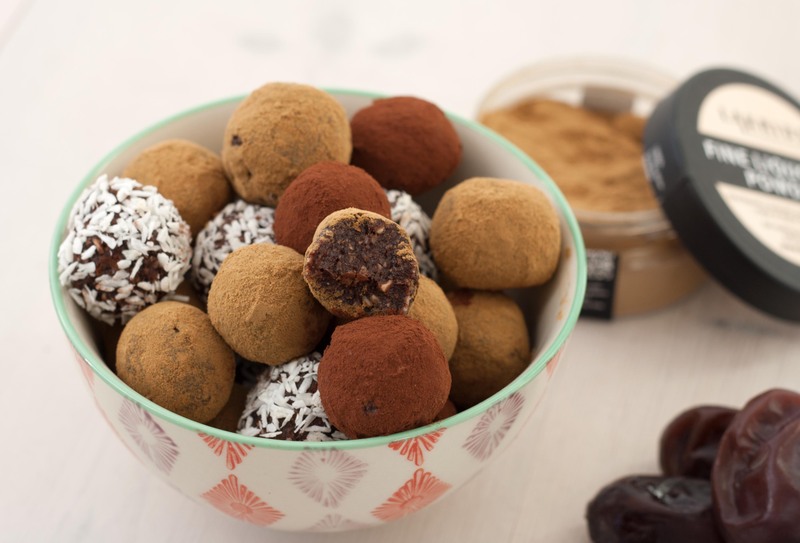 Step 2: Form small date balls and roll them in either cocoa powder, licorice powder or coconut flakes. Step 3: Keep the date balls refrigerated until serving. I for sure try this since I love dates! Just wanted to say that I love your blog and enjoy it! Tried Aebelskiver and bought a pan for that!! My next trying would be making a dough starter! !